Do you remember a while back when I said I was letting go? One of the things I let go of was the idea of sending out Christmas cards. I would have loved to do it. Really. But there was just no way it was going to happen. So... I'm breaking re-writing the rules. Who says cards have to be sent before Christmas? 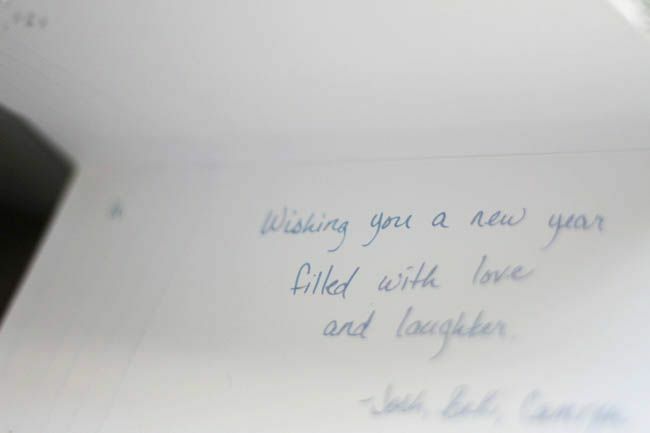 We're sending out Happy New Year cards! 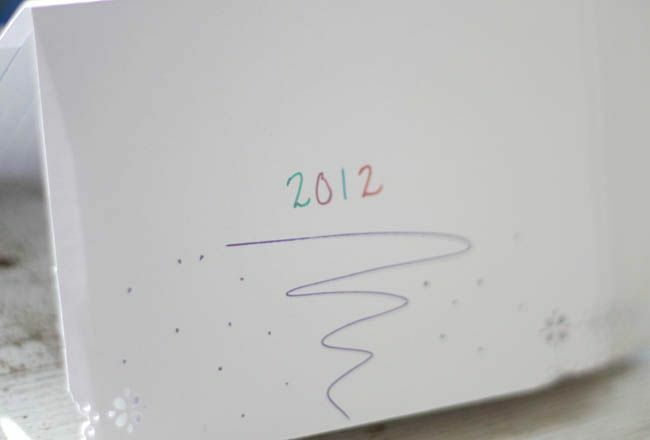 We just put together sweet and simple handwritten cards wishing our loved ones a happy 2012. We included a family photo from a session we had done late last year. And people might actually be surprised by an unexpected card in the middle of January, right?! You have permission to break the rules as well. If you can't do it all (and who can?! ), then just do what you can. Even if it's a month later than expected. This might become our new tradition. I love it! I think it's a great way to start off a new year! I did get Christmas cards out but, would have totally sent out New Year's cards if I hadn't done them. Love the picture you used!!! We need a family photo shoot. 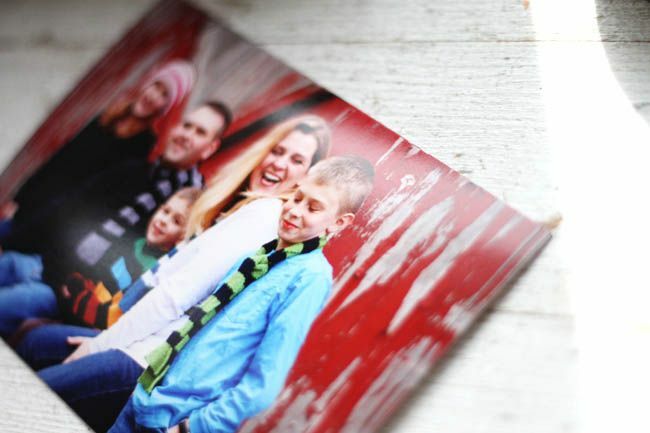 We've not had family pictures since I was pregnant with Jett...more than FIVE years ago. Cute picture! Christmas cards were a fail for me too this year, and I also thought of new year cards... then even more time passed and I wasn't sure if 2012 still counted as 'new'. But you might have inspired me - and I can always aim for valentine's if nothing else!